Econoco’s Display Round Rack is ideal for your store display! This chrome finish round retail clothing rack is perfect for all of your retail store display needs. 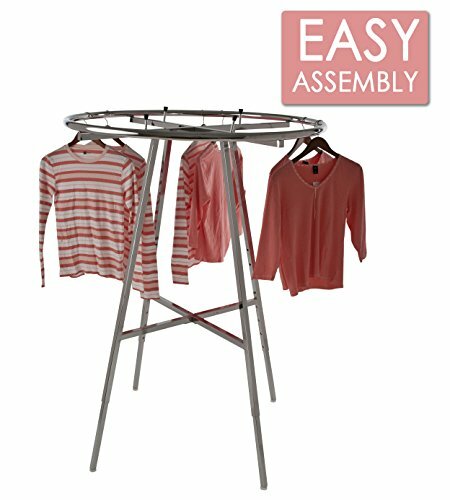 This circular clothing rack features adjustable height. The height of this round rack is adjustable every 3” from 48” to 66” and is made of 1” square tubing. This display retail rack is made of sturdy welded steel. The round retail rack includes levelers and rubber tipped shelf supports. These options help to fit your every need regarding your retail store. This folding round rack is perfect for any store or boutique. Econoco’s Circular Clothing Rack for Retail Use is perfect to transform your clothing store display. 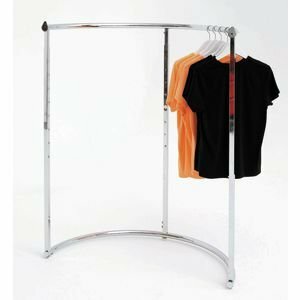 This chrome finish round retail clothing rack is perfect for all of your clothing store display needs. 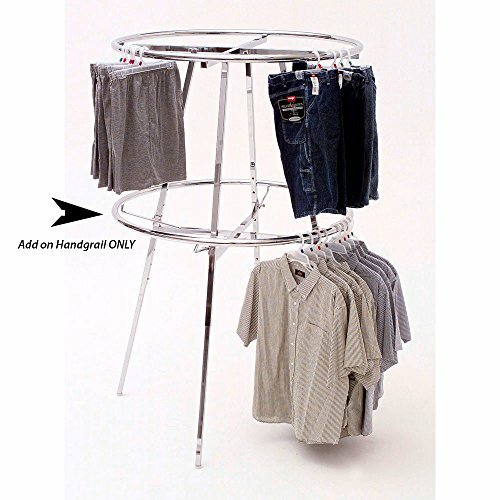 This circular clothing rack features adjustable height with very easy push buttons. The height is adjustable every 3” from 48” to 66” uprights are made of 1” square tubing. This display retail rack is made of sturdy welded steel. Includes levelers and rubber tipped shelf supports and has the option of add-on casters and wheels sold separately to fit your every need. This retail rack is ideal for any clothing store or boutique. 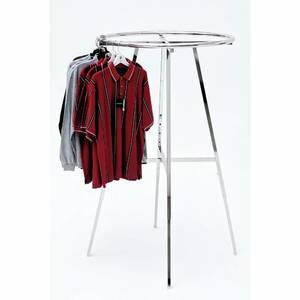 Round garment rack with adjustable height in a chrome finish. Diameter measures 42 inch and features 1 inch square tubing uprights. Adjustable levelers and rubber-tipped shelf supports are included. Pair with 36 inch topper. Ships oversize UPS. Please read more for important shipping information & restrictions, plus additional product information. --PRODUCT INFORMATION: Unlike other inexpensive racks, our Garment & Clothing Racks are top-quality and feature smooth assembly and attractive durable finishes that rival models more than twice the price. Parts align perfectly and assembly hardware does not strip. The finish is maintenance free and features an upscale look & feel. --PROCESSING TIME: Most orders are processed & shipped same business day if received before 12 NOON EST excluding weekends & holidays. Orders received after 12 NOON EST will usually be processed the following business day excluding weekends & holidays. Not responsible for time of day order information is received from Amazon.com. SHIPPING INFO: All orders ship Ground however we offer EXPEDITED SHIPPING for additional freight charges. Shipping rates shown are for Continental 48 States only. Shipping to AK, HI, PR & APO/AFO Boxes may require additional fees. WE CANNOT SHIP TO PO BOXES - PLEASE PROVIDE VALID STREET ADDRESS. We ship Worldwide-Contact us for rates. Please see return and additional policies in our Amazon storefront. Purchase Today For Fastest Shipping! This half round clothing rack looks great out in the middle of a room where you could set a table in the center curve with an assortment of matching scarves jewelry or other accessories. It can be raised in 3 inch increments from 49 inch (H) to 73 inch (H) for varying garment length choices. The half round clothing rack has a 1 1/4 inch (D) hangrail and teardrop ends so apparel wont slip off. It has sharp chrome finish that will add style to your presentations. 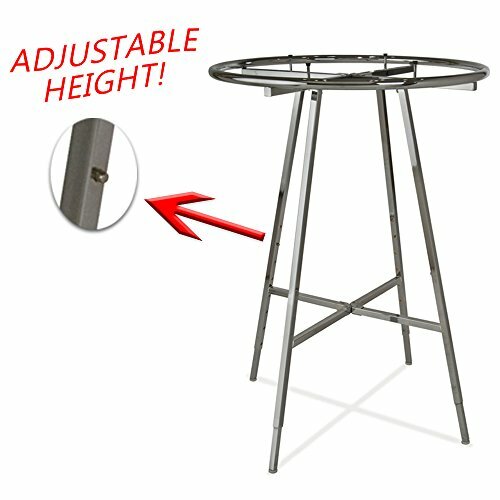 This half round clothing rack comes with adjustable levelers for stability on any flooring surface. This round rack add on hangrail provides more space on your display. It is 42 inch (D) chrome so it will match your stand perfectly. The round rack add on hangrail is supported by using a set of four clamps (sold separately). This rail is 1 1/4 inch tubing perfect for any clothes hanger. The round rack add on hangrail is the perfect accessory for additional room in an organized attractive way. 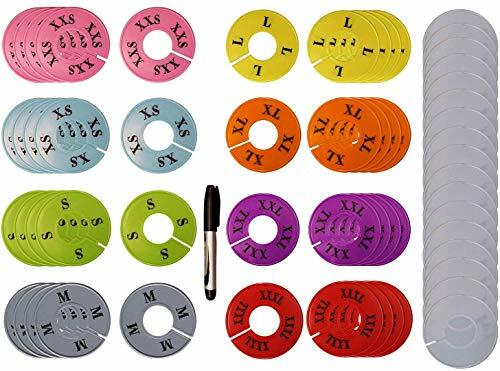 Round clothing rack 36 inch (D) with the foldable base is a great piece to use in you presentations. It has sturdy welded construction and adjustable levelers for a secure and safe display on any surface. 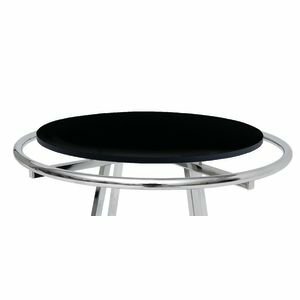 This round clothing rack is perfect when accessories are placed on top in a basket or shelf which can be purchased separately. The fixture has 1 1/4 inch hangrail and 1 inch square tubing frame in chrome finish so it will match other similar stands nicely. The round clothing rack is great for showcasing complementary garments like shirts and skirts or whatever selections you choose when an additional rail is added. Looking for more Round Garment Racks similar ideas? Try to explore these searches: Knipex Sb, Candy Cane Bears, and Exterior Large Wall Mount. 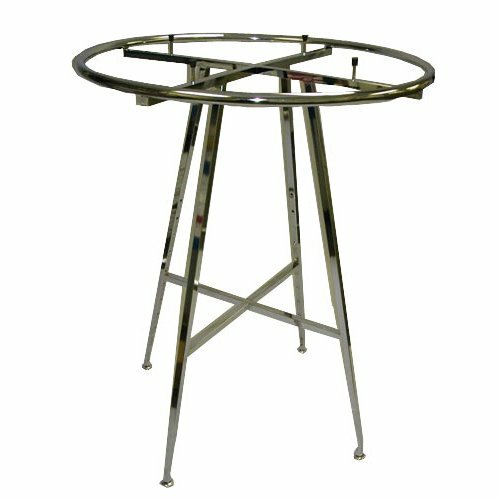 Look at latest related video about Round Garment Racks. Shopwizion.com is the smartest way for online shopping: compare prices of leading online shops for best deals around the web. 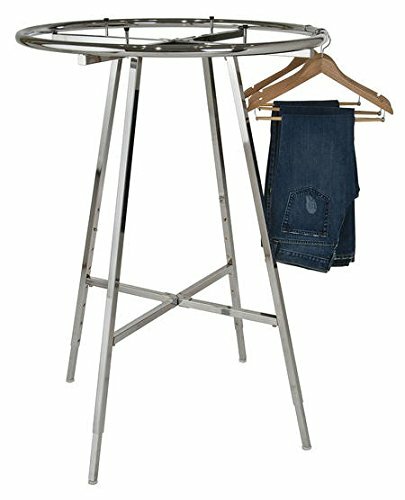 Don't miss TOP Round Garment Racks deals, updated daily.